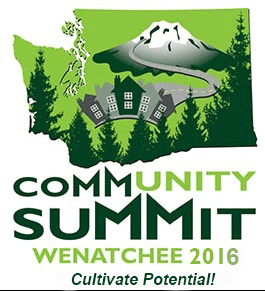 The 4th Annual Community Summit: Cultivate Potential, sponsored by the Washington State Developmental Disabilities Administration Roads to Community Living will be held in Wenatchee on June 14th – 16th, 2016. The Summit offers a series of National and Local Presenters, including opening keynote by Shane and Sarah Burcaw, the founders of Laughing At My Nightmare, Inc., an organization dedicated to teaching people how humor and positivity can help them overcome their challenges. Shane is an author, entrepreneur, award-winning blogger, Emmy-winning producer, and inspirational speaker. His blog about the humor of living with Spinal Muscular Atrophy has over half a million followers. In his free time he enjoys running people over in his wheelchair, hanging out with his brother and friends, and traveling.